There is nothing more miserable than working in a job you hate. You can’t deal with it, though, by ignoring how unhappy you are. We get one life. Time to take ACTION. 1. Ask yourself – Should I stay or should I go now? 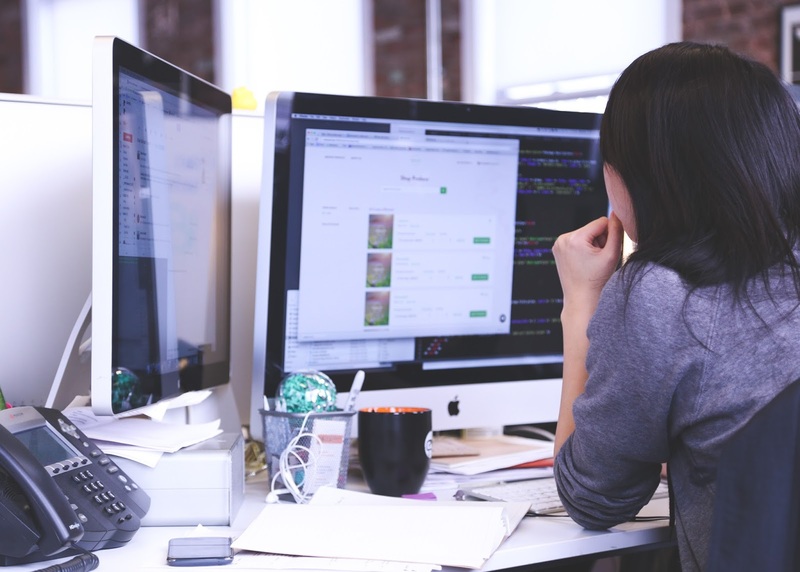 Many of us can’t afford to leave a job on a whim and it takes time to research job opportunities and to assess whether your current skills need honing or even if you need to retrain. But one thing is for certain, you need a strategy to cope with the misery of working in a job you hate – one that might just possibly turn everything around. You need to take action NOW. 2. Whoops, is my attitude showing? If you’re miserable in your job, it’s highly likely that everyone’s noticed – including your boss. Time to grit your teeth and plaster a smile back on your face. If you want to leave, leave on your terms, not theirs and moping around like a sad sack is a quick route to the door. Read my 20 tips to keep your cool with your boss. I know you hate it but spending hours playing Solitaire and messaging your mates on Facebook isn’t going to make you star employee of the month. And you do know that lots of firms have software now that tracks the websites you’re using? You wouldn’t be daft enough to spend hours bidding on eBay or doing your online grocery shop, would you? Go back to basics and try to do the job the way you did when you were a fresh, frisky and relatively unjaded employee. That means dressing professionally, minding your manners, being friendly to your colleagues and respectful to the management. It means focusing on the task at hand and doing it the way you’d expect it to be done if YOU were the boss. If you struggle with a particular area (e.g. spreadsheets) ask if you can have some training. It’s a double whammy because not only will you learn skills you can take to your next job, you’ll look peachy keen to the Management. There is usually a gaggle of employees who band together at coffee breaks (or when the boss isn’t looking) to discuss how the firm is about to go to the wall, how it is a terrible place to work, how bad (or non-existent) the perks are. You can be sure that these employees will have a hit list of staff they hate (starting with their manager and working down). They are such fabulous employees they should be paid more, have more holidays, longer lunch hours – you get the picture. And should the management actually give the staff a treat (e.g. a bottle of wine at Christmas), these are the people who will pretend to be deeply insulted. “Oh, they think a bottle of wine will make up for all the rubbish we have to put up with”. Management will be well aware who they are and there will inevitably be one of their number who, in an attempt to pull rank and feather their own nest, will be reporting the juicy bits back to management. You’re not that lonely soul who never makes tea or coffee for anyone else and insists on their own special mug (which they clean themselves) are you? Are you the one who never goes for a drink after work or at lunchtime? Heck, if you really don’t want to be popular why not take the tested route of never covering your food in the microwave and leaving others to clean up the mess? Recite after me “I AM a team player”. And while you’re at it do a little research (at HOME) to see what the current popular styles of CV are. What is it that you can bring to a job? If I were to employ YOU as a consultant, what could you do for me? Get someone else to proof read your CV for spelling mistakes. Make sure there are no gaps in your employment history – and if there are be ready to explain why in an interview. In the past, people had one job which they expected to do till retirement. Today it is entirely likely that you’ll have many jobs, possibly even multiple careers. A helpful way to think is that you are not an employee but a consultant. Work out what skills you have that could be used in other jobs and write them down to add to your CV. Great at organising? A whizz with spreadsheets? Great team motivator? Write it down but with concrete examples to back it up. Otherwise, it’s just hot air. There are loads of sites like totaljobs.com or www.jobsite.co.uk where you can post your CV and apply for jobs in your area. You might also want to consider registering with a couple of recruitment agencies to see what jobs might be available. Recruitment agencies are a great place to get some free career counselling and advice on your CV. This is especially important if you feel you are being treated unfairly (or worse, bullied). Create an email folder and keep all email correspondence safe. Remember to send these to your personal email and then print them out. Note down important conversations. Never go to an HR meeting without a note pad and write down what is said. Add dates and times and file it away at home. Your employer has a duty of care towards you. It’s not just a one-way thing where you do whatever they say and get paid once a month. Your local Citizens’ Advice Bureau will be able to advise you. (www.citizensadvice.org.uk), and if things are really bad, you may want to consider finding an employment lawyer. Some law firms will let you have free initial legal advice which means they’ll at the least be able to tell you where you stand and if you have a case. If you go out to meetings, make sure they remember you by being punctual, prepared and polished. Always remember clients may be potential future employers. And you wouldn’t be daft enough to run your current employer down to them, would you? You never know who is friends with whom. That client who seems sniffy with your boss? They drink together in the pub on Fridays. 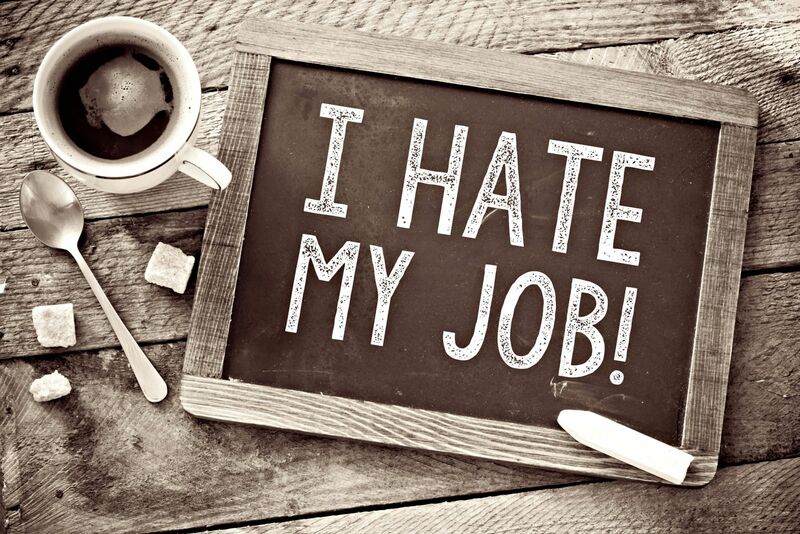 Working in a job you hate is really miserable. We’ve all been there. But you won’t change anything by ignoring how you feel and just soldiering on. Make sure you are taking any breaks you are entitled to and keep a track of your holiday entitlements and how much you’ve used. Put in a request for holiday in good time and plan something relaxing. The flip-side of this is not to take the mickey by adding an extra ten minutes here or there. It will be noticed and endless ‘duvet days’ due to a strange virus is not going to make you seem like an employee your boss will want to keep. If you adopt some of these ideas, trust me, you will feel a bit better. And when you feel better, you’ll make better decisions and your work performance will improve. You never know, on the happy day you hand your notice in, management may be begging you to stay! Customer Service: Are We Really Being Served? "My Problem Page Edition 7 2017"
"How To Plan Your First Family Holiday"
A very good post, If you are unhappy you need to be proactive rather than just moaning about it, or accepting the situation. so with you on that one! Joining in with the moaners just drags everyone down. Staying can be really difficult but I think you need to make sure you don't jump out of the frying pan into the fire. Cardiff in particular is a very tight knit place in terms of the jobs market where everybody knows everyone else – and their business. I bet you feel wonderful. I always used to feel like a huge weight had been taken off my shoulders. Great advice. I think a lot of it is good advice even if you don't want to change jobs! I think these days you have to manage your own career and be proactive. There is so much competition out there, isn't there. Brilliant advice, I don't my job but know how it feels, it can be hard to see light at the end of the tunnel so posts like this are really helpful! If you find a job you love, stick with it I'd say! I think careers advice in schools is so important. There are loads of jobs I would have loved to have done but didn't know existed! Great post! I'm currently on maternity leave and the thought of going back to work gives me shudders, then on the other hand I know it is a secure job so maybe it is worth my while sitting it out until I have all of my family out of the way. I am so guilty of number 6! I was lucky enough not to have to go back after maternity leave but a part of me wishes I had. I think once you are out of the job market it is difficult to get back in – certainly at the level you were. And as they say, it is easiest to get another job whilst in a job. Great post. I've been thinking about changing career lately due to issues in my job. A doctor's day seems to be never-ending and I imagine it's only going to get tougher. A friend of mine moved from being a doctor to setting up a recruitment agency for medical staff – still equally tough but she was at least in control of her own work. There's never a right time to take a jump into the unknown though, is there? Great post 🙂 I am quite happy at my job, but have followed similar ideas in the past when I haven't been that happy, and it has definitely paid off. These are great points! Begin by changing your mindset and then if you still really want to quit, do if! Life is too short to be unhappy! I think it gets a bit easier when you're older to be clear about what's right for you. I've had jobs I hated so much, staying in them just wasn't an option though! I was just like this, unhappy. I end up signing my resignation, I couldn't do it any longer. Did I had place to go to? No! But I had a pretty good idea on what I wanted to do, and I had my boyfriend help of course. Without that probably I was still unhappy and maybe on depression leave. Not everyone can leave just like that, we have bills to pay and kids to feed. I've had jobs like that too Marta. If it's making you ill then you have to prioritise your health but I agree that not everyone can do that. Aaah, it's so horrible when you aren't happy at work! Some really good tips there.